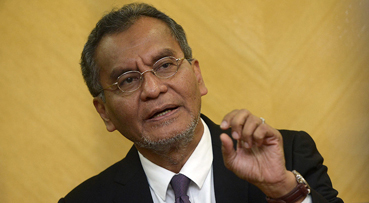 Health Minister Dzulkefly Ahmad today assured patients currently under the Patient Assess Scheme (PASc) that they will continue to receive their supply of medication even though the free-drug programme has been suspended. He said his ministry had referred the scheme to Auditor-General Tan Sri Madinah Mohamad for a review to improve its operations and to prevent abuse. “They are not affected. They will continue to get the supply of medications available under the scheme,” he said of the existing PASc patients. “There is no halt or termination in the welfare of the patients,” he told reporters after attending the Malaysian Pediatric Association Annual Congress at the Ipoh Convention Centre here. Dzulkefly explained that the PASc review will look into its administration. “We wanted to find out what are the best way to manage the support from the pharmaceutical companies in order to be more efficient and to avoid any wrongdoing or discrimination,” he said. However, Dzulkefly said his ministry will consider new applicants of the programme on a case-by-case basis, adding that none had been referred to him so far. On August 15, the Health Ministry suspended PASs, a programme where expensive drugs to treat patients suffering from cancer and rare diseases is given out free by pharmaceutical companies. The programme came under scrutiny as the government reviewed its ethics and integrity guidelines in the big war against corruption.